I can’t believe I’ve blabbed for two paragraphs without mentioning M. Night Shymalan, who co-wrote and directed this swiss cheese picture (because it’s full of holes! *cues the rimshot*). Apparently the studio’s advertising department finally realized it is not smart to put “from the man that brought you The Last Airbender, The Happening, and Lady in the Water…” on billboards and posters. 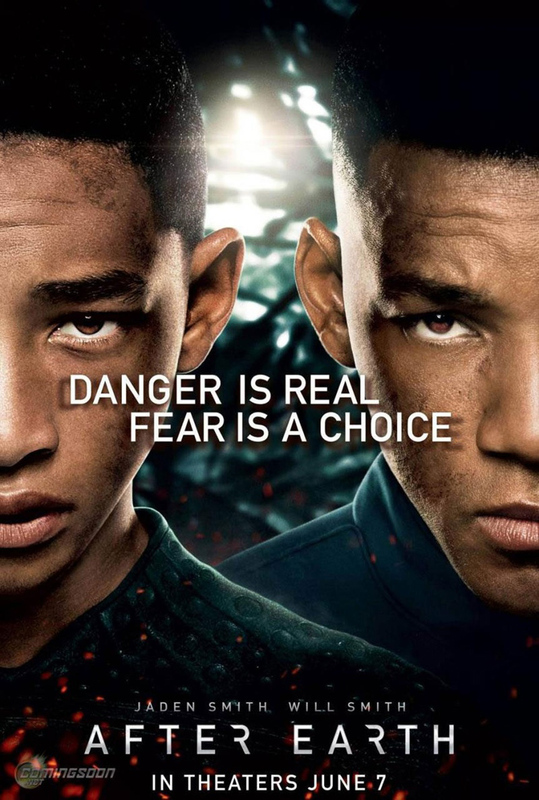 M. Night doesn’t do much to redeem himself here, as After Earth is yet another exercise in absurdity for the filmmaker. In an effort to put a different world on the screen, Shymalan pens ridiculous dialogue and stages ludicrous twists that are only held together by how seriously Will Smith is taking the proceedings. Well that, the phenomenal score by James Newton Howard and the seriously Oscar-worthy sound editing– all the summer blockbuster essentials. After Earth is now showing in Philly area theaters.